Over the past five years we have become familiarised with the initial CSR (Corporate Social Responsibility). After this five-year journey, finding these initials in all types of texts and published materials has become something normal. It is inevitable that companies, and especially the public institutions, adapt to the requirements of mature societies regarding the demands of the community itself. Not surprisingly, in companies, both public and private, there are beginning to be people in charge of Social Responsibility. 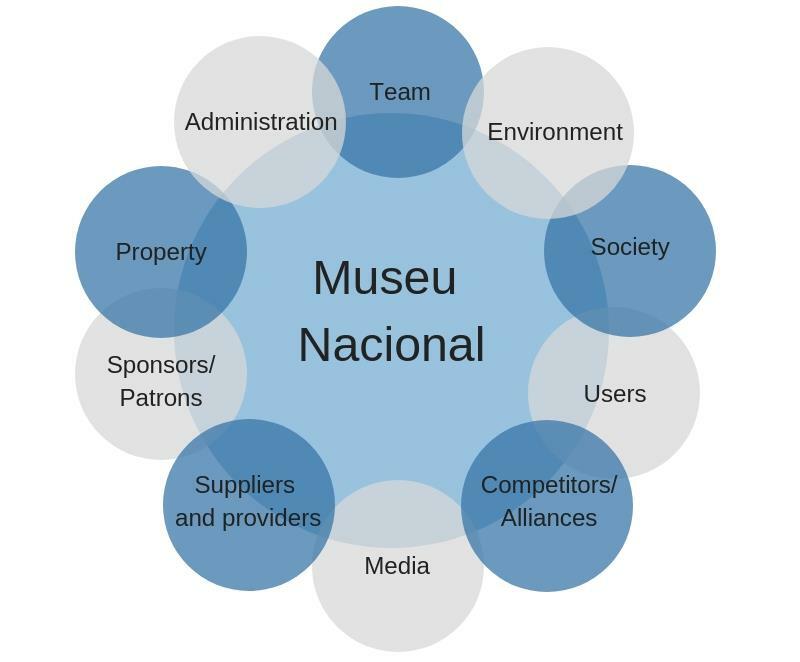 Managing the Museum under the principles established of Corporate Social Responsibility is an obligation so as to keep up to date and in line with the Ethic code (pdf – 281 Kb) and the policy of social responsibility (pdf – 60 Kb) that we have imposed on ourselves. What do we understand by Corporate Social Responsibility? 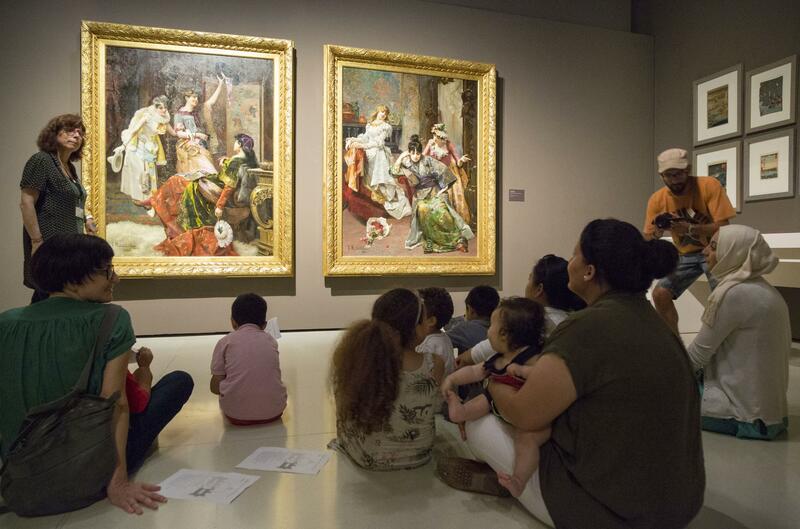 Social Responsibility is the commitment that the Museu Nacional d’Art de Catalunya has taken on to provide society with what the society demands in its management of artistic heritage and human and economic resources, and what the museum has to do to fulfill its social mission. A 21st century museum must demand of itself new challenges that have as much to do with the community as with the works of art in the collection. 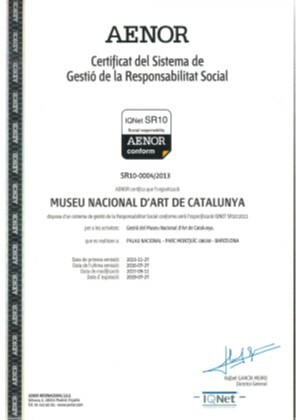 With this demand boosted by the management of the Museum and assumed by the team, in 2013 a plan/project was started to adapt the integral management to the proposals, obligations and challenges of the model IQNet SR10 Social Responsibility Management System, which annually certifies the good practices according to their procedural regulations. 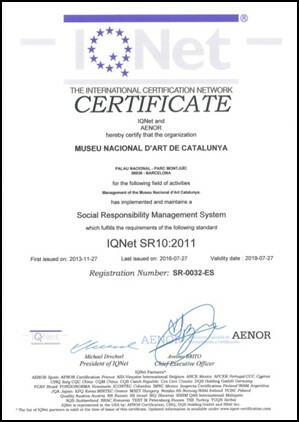 With the proposals of the IQNet RTS10 model, it contributes to sustainable development, improving the welfare of society, optimizing the decisions and measuring the impact that they cause on society and the environment. Equally, compliance with legislation, transparent and ethical behaviour and the participation of all groups is ensured. And as an additional advantage, it is measurable and auditable annually. Over the last five years we have had to make a mental effort to adapt to a new culture of work, creating the whole procedural corpus, organizing the Social Responsibility Committee made up of ten volunteers from the team, starting a Dialogue programme with our interest groups and setting in motion a bi-monthly online newsletter to inform about the achievements and developments that take place around the Social Responsibility project. 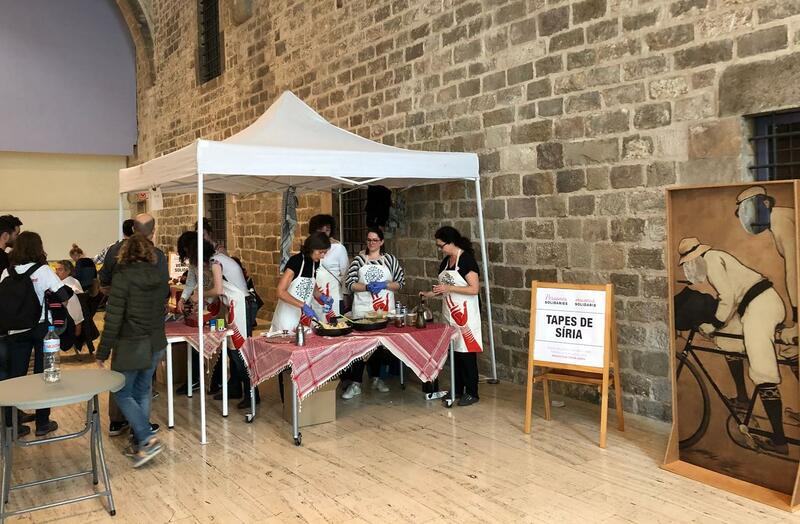 The Social Responsibility Committee, made up of ten volunteers, has the function of promoting and executing the proposals that arise from this management system and making it known to the museum team and interest groups. The Museum has redefined itself, which requires special attention and permanent dialogue, in order to jointly establish the relationship guidelines. 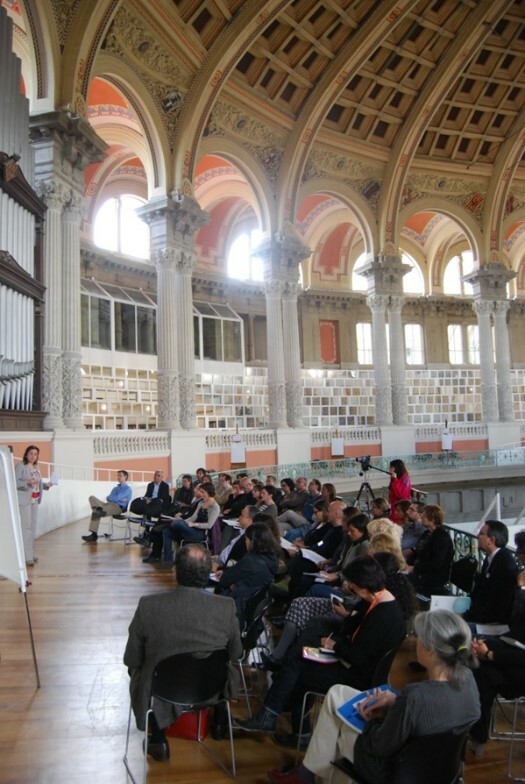 The Dialogue with the interest groups is one of the columns on which the entire Social Responsibility project is supported. It is essential to know how we are seen, so as to be able to jointly establish the programme of goals and offer them exactly what they expect. Who are our interest groups? 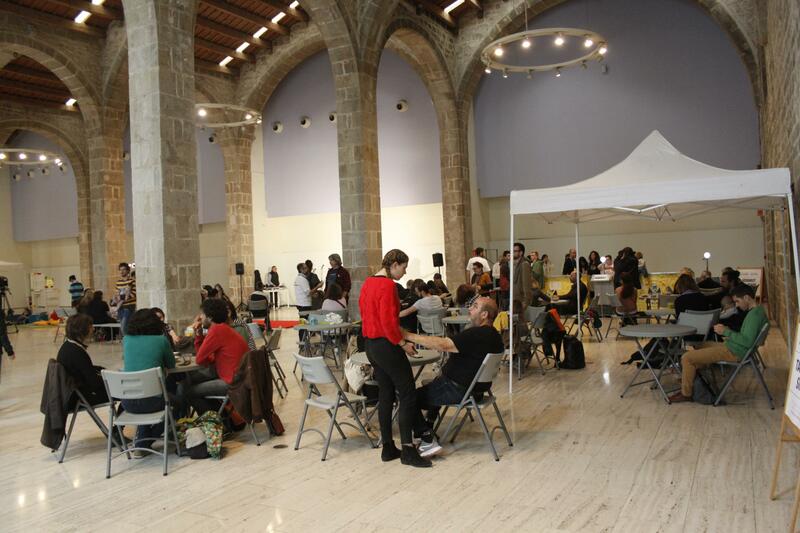 These groups, decided among all the collective of workers of the Museum, represent a range of relations, both internal and external, on which the goals of management, programming, evaluations, audits, etc., should be focused. Social Responsibility, in the sense of being an ideological positioning and an efficient working tool, has become one of the fundamental vectors of the Strategic Plan. Social Responsibility has been integrated in the strategy and in the management of the organization. 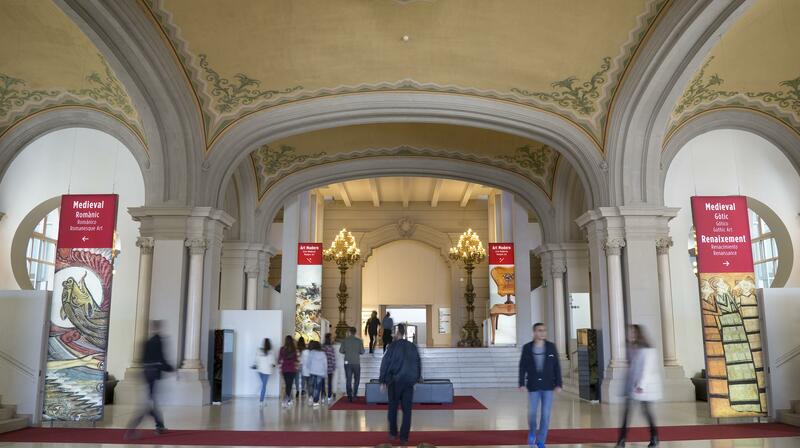 However, and in parallel to the implementation of the SR philosophy in the Museu Nacional, a whole series of laws that did not exist in 2013 have been incorporated into the set of obligations that voluntarily formed part of the core SR already from the outset. Right now, with or without a Social Responsibility programme, institutions cannot avoid complying with laws of major social content, such as universal accessibility, social procurement, agreements and relationships with third parties, sexual harassment or equality plans. And this is an undeniable improvement in the field of social progress. What are the strengths of the Corporate Social Responsibility? It’s not easy working exclusively with Social Responsibility criteria in all aspects of management. 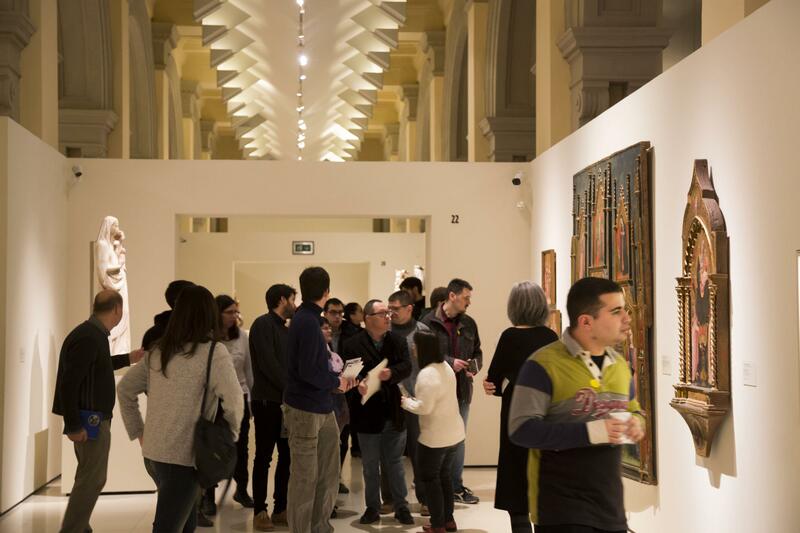 Combining goals, programmes and resources with a high degree of social value is a firm and clear commitment of the Museum, but it is necessary to advance step by step and to consolidate the benefits that the SR dynamic brings to the institution. Being aware of this reality and working to overcome it, is being socially responsible.